NASA's Juno spacecraft is diving into Jupiter's orbit in a few days' time, five years after it blasted off its launching pad in Cape Canaveral. The gas giant is merely a stone's throw away, and this image captured by the probe's camera, the JunoCam, shows just how close it is to reaching its destination. 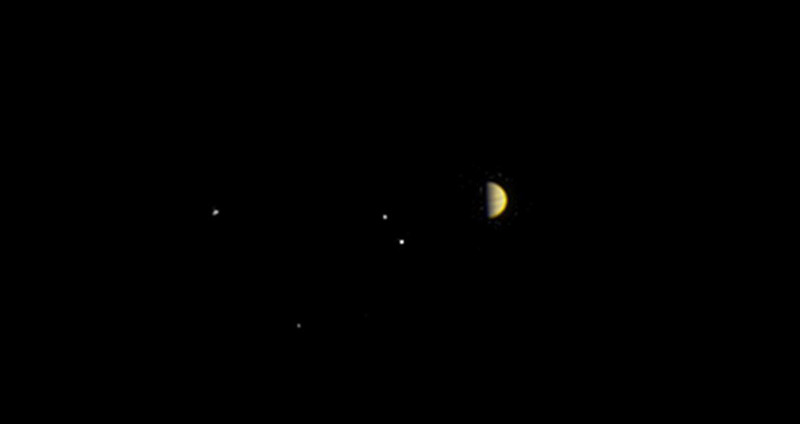 Juno took a photo of the planet and its four biggest moons on June 21st, while it was 6.8 million miles away. That might sound like it's still awfully far, but don't forget that the probe will have traveled 1.74 billion miles by the time it enters Jupiter's orbit on July 4th. JunoCam could only manage a hazy photo at that point in time, but you can still make out Jupiter's bands. You can also see four dots on one side of the picture, which are actually the Galilean satellites Io, Europa, Ganymede and Callisto. 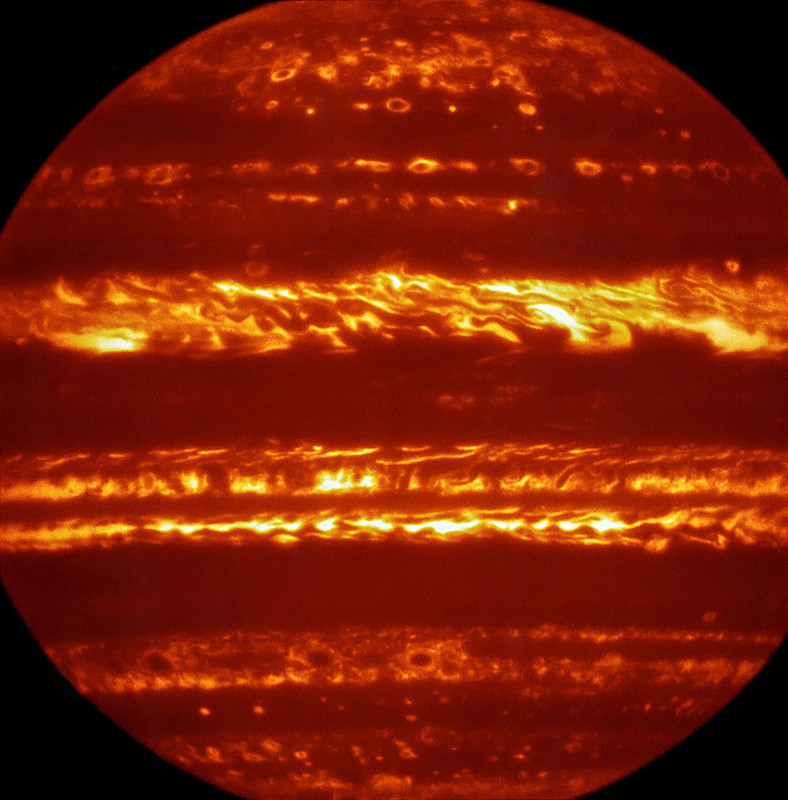 To prepare for the start of the mission, a team of astronomers also used the European Southern Observatory's Very Large Telescope to create infrared maps of Jupiter, such as the one we've embedded below. According to team leader Leigh Fletcher, "These maps will help set the scene for what Juno will witness in the coming months." If you're now asking "What will Juno see in the coming months, anyway?" Well, NASA equipped the spacecraft with various infrared and microwave instruments. The observations it beams back will help the agency study its composition and magnetic fields, assess the presence of water and oxygen content, as well as figure out the planet's origin.